The main character may look like a small green frog and jump from lily pad to lily pad, but the game has a deeper political meaning and took the USSR by storm. Tetris wasn’t the only iconic video game developed in the USSR. While the likes of Mario Bros., Prince of Persia, and Pac Man were enjoying huge success, Soviet developers came up with a game called Perestroika, also known as Toppler, and it proved a huge hit. 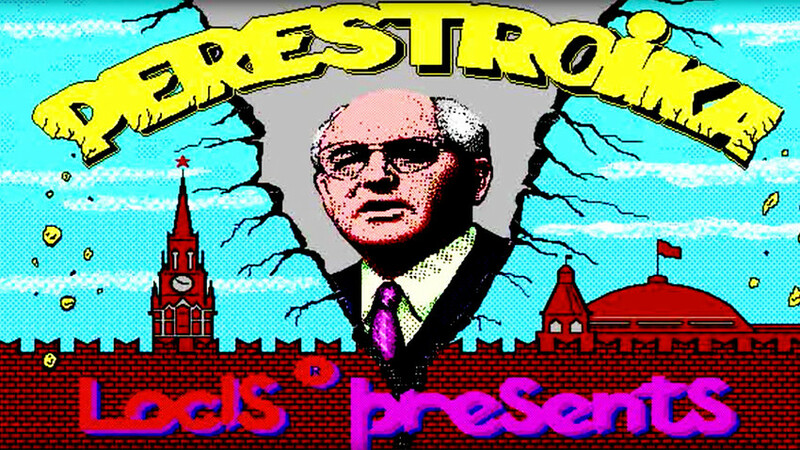 Perestroika was the last game developed in the USSR. It was released in 1990 - the following year the country was no more. The game enjoyed popularity both in the Soviet Union and abroad. One can still find some versions of Perestroika for iPhones and Androids. The game reflects the turbulent period of its creation. When the home screen loads an image of Soviet leader Mikhail Gorbachev against the crumbling Kremlin walls flashes up on the screen, the person who initiated actual Perestroika. To make it even more Russian, the folk song “Dubinushka” (“crabstick”) is the theme tune. The main character, the user, looks like a small green frog. Yet, it’s not a frog, it’s a democrat. The frog-like democrat jumps from one lily pad to another, trying to reach further levels. Lily pads are in constant motion: They embody ever-changing laws and regulations in the late Soviet system. The user must move the green creature towards dots which represent grocery goods (the late 1980s were a time of total deficit in the USSR) and currency transactions (under Gorbachev foreign currency made its way to Russia). These bonuses make the frog-democrat stronger. Bad dots also exist for democrats – progressive taxation that diminish the green creature’s “well-being.” Democrats have their enemies – bureaucrats. These red bugs try to annihilate the reform-minded creature, whose goal is to avoid them and get to the top-right corner to reach more advanced levels. The game, though simple, became popular and was installed on millions of PCs. Perestroika was created by Nikita Skripkin, who worked for a cooperative - a new form of economic activity endorsed by the reforms of Mikhail Gorbachev. The game itself was inspired by a Japanese TV show where people threw logs into a pond in a bid to cross it. According to Skripkin, the presence of the song and other sounds in the computer game distinguished Perestroika from other games, not only in Russia but also abroad. “For the first time a computer started to ‘sing’ and talk with a human voice,” said the designer. Besides the rendition of “Dubinushka,” the game characters pronounce vivid sounds: “Nyam-nyam” (when a player increases “well-being”) and “cha-cha-cha” (the dance of bureaucrats in the end, if the player loses). One of the developers managed to convert the recording of his wife’s voice into these sounds and to build it into the game. A friend of Skripkin told him that the game had also become extremely popular in the U.S.
As the developers of Perestroika confessed, they did not make money from the game but it helped boost their reputation. The portal www.old-games.com outlines the game’s historical value and since its inception the cooperative that created it has morphed into a company that still operates today on the Russian market. On the back of Perestroika’s success in 1991 there appeared its sequel - The Defense of the White House. It was inspired by the failed attempt of the 1991 coup d’état quashed by Boris Yeltsin. Perestroika was somewhat revitalized in 1995 when it was relaunched for Windows computers. You can read about the history of the success of another Soviet computer game, Tetris, here.